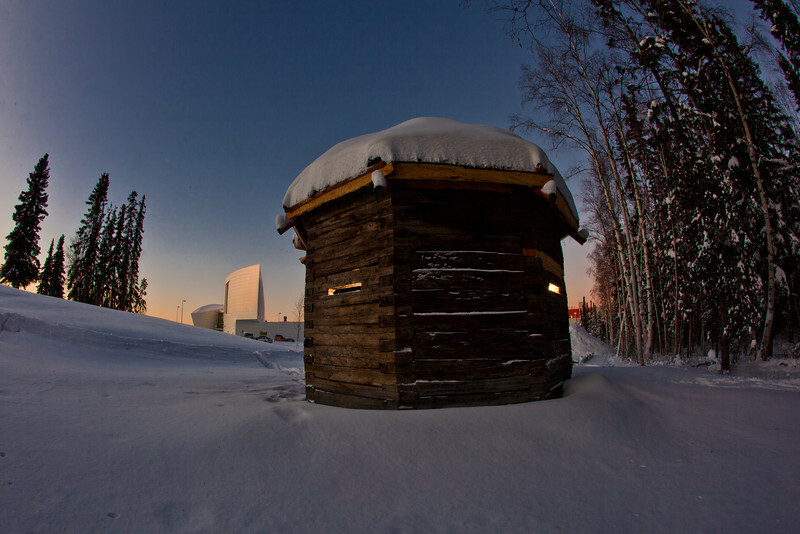 The 1841 Russian blockhouse stands at first light on its new foundation near the University of Alaska Museum of the North. It was the first structure built by the Russian-American Company at Kolmakovsky Redoubt near Aniak. It is one of the oldest Russian-era structures in Alaska. In 1929, the blockhouse was disassembled and moved to Fairbanks where last summer a preservation team completed work on reattaching an updated roof outfitted with tundra sod and tamarack poles.